The NDP is calling the nearly $3 million in ordered repayments for its use of satellite offices a "fine." 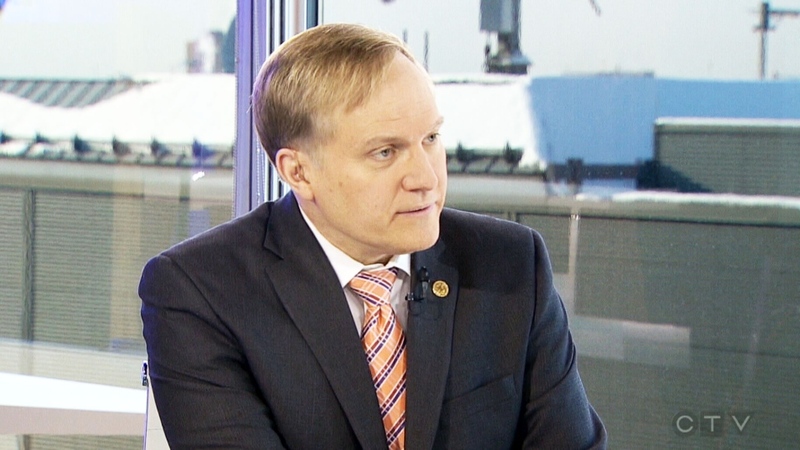 Speaking on CTV’s Question Period, Opposition House Leader Peter Julian accused Liberal and Conservative MPs on the Board of Internal Economy (BOIE) of issuing the NDP a "fine" for their political advantage. "Now they're saying, 'Well, okay, you met the old rules, you met the new rules, but we’re just going to give you a big fine anyhow because it's to our political advantage,'" said Julian. "It's a fine because they put together some figures in a very shoddy way." The BOIE, a secretive parliamentary committee responsible for overseeing parliamentary spending, ordered 68 NDP MPs to repay a total of $2.75 million used to staff their party's satellite offices in Montreal and Quebec City. The committee is asking MPs to personally repay the money. Some NDP MPs owe around $1,000, while others face six-figure bills. For instance, Montreal MPs Alexandre Boulerice and Isabelle Morin will be asked to repay $120,000 and $170,000 respectively, while Leader Thomas Mulcair and party whip Nycole Turmel owe more than $600,000 combined. Julian accused the Conservatives of leading the BOIE charge against the NDP. "I think Mr. Trudeau's naïve and I think he just follows along because he sees an advantage in attacking the NDP, too. But it's being led by the Conservatives, no doubt," said Julian. But, as Conservative MP Blake Richards highlighted, it was the House of Commons administration – not the BOIE - that found the NDP inappropriately spent taxpayer dollars. Richards, who joined Julian on a Question Period panel, said the NDP is scrambling to manage the scandal. "They're flailing about, kind of throwing everything out there, every excuse that they can to try to avoid taking accountability for something they know that they did was wrong," said Richards. "It's like being caught with a big bag of cash and saying, ‘Gee, everybody else is trying to gang up on me.’ When you break the rules, you should be held accountable." Liberal MP Adam Vaughan said the issue has regrettably turned into a "partisan spat." "It’s not a question of being naïve or a question of being spiteful. It's a question of making sure that money that's given to us by taxpayers is being used for the purposes that it's intended for." Vaughan also said he was "a little disturbed" that the BOIE's process was being attacked. 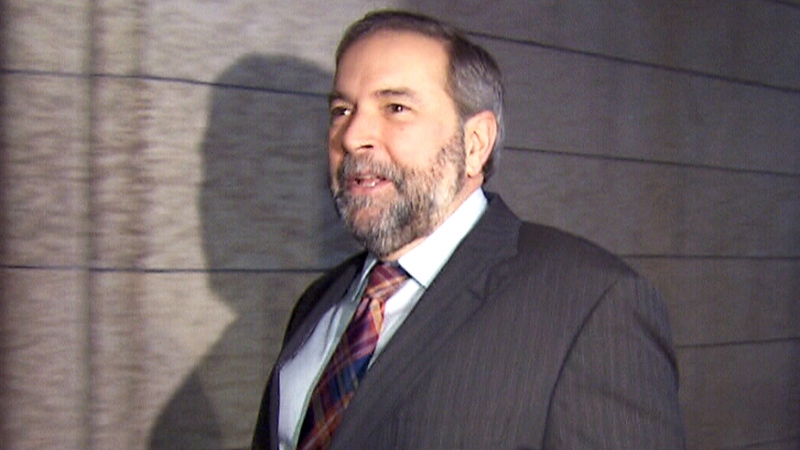 The NDP says it plans to take the BOIE's "partisan" ruling to the Federal Court. However, Julian acknowledged the fact that the Federal Court may not have jurisdiction over decisions made by the BOIE. "The point about the federal court accepting jurisdiction is a valid one," said Julian. "But … because the Board of Internal Economy has been so incredibly partisan and so shoddy in how it's done its work, that it's bolstered our case. NDP Leader Thomas Mulcair walks past reporters as they question him about the party's spending at satellite offices on Feb. 4, 2015. Opposition House Leader Peter Julian appears on CTV's Question Period on Sunday, Feb. 8, 2015.